Rev. Kimble preached his first sermon on Sunday, January 12, 2003. He has preached extensively throughout Middle Georgia and was ordained on Sunday, November 30, 2003. In order to equip himself, Rev. Kimble enrolled in Morehouse School of Religion of the Interdenominational Theological Center in Atlanta, Georgia, where he received a Master of Divinity Degree (with honors) with a concentration in Hebrew Bible/Old Testament in May of 2009. He then further equipped himself by earning a Doctor of Ministry Degree at McCormick Theological Seminary in Chicago, Illinois in May of 2014. He received his Bachelor of Science degree in Zoology from Fort Valley State College, a Master of Science degree in Science Education from Albany State University, and a Specialist in Education in Natural Science Education from Georgia College and State University. Rev. Kimble is currently a Science Instructor for the Taylor County Board of Education in Butler, Ga. He is married to Michele Kimble. Rev. Kimble’s pastoral journey began in 2008 at the New Smyrna Baptist Church in Fort Valley, Ga. The church has undergone total renovation of its 1865 historic sanctuary. Rev. Kimble says that through his church administration efforts, and without the assistance of a financial institution, he led the congregation through a total renovation and the church is debt free. Rev. Kimble feels that the Lord is leading him on to serve in another church where his leadership can further the will of God.Rev. Kimble preached his first sermon on Sunday, January 12, 2003. He has preached extensively throughout Middle Georgia and was ordained on Sunday, November 30, 2003. In order to equip himself, Rev. Kimble enrolled in Morehouse School of Religion of the Interdenominational Theological Center in Atlanta, Georgia, where he received a Master of Divinity Degree (with honors) with a concentration in Hebrew Bible/Old Testament in May of 2009. He then further equipped himself by earning a Doctor of Ministry Degree at McCormick Theological Seminary in Chicago, Illinois in May of 2014. He received his Bachelor of Science degree in Zoology from Fort Valley State College, a Master of Science degree in Science Education from Albany State University, and a Specialist in Education in Natural Science Education from Georgia College and State University. Rev. 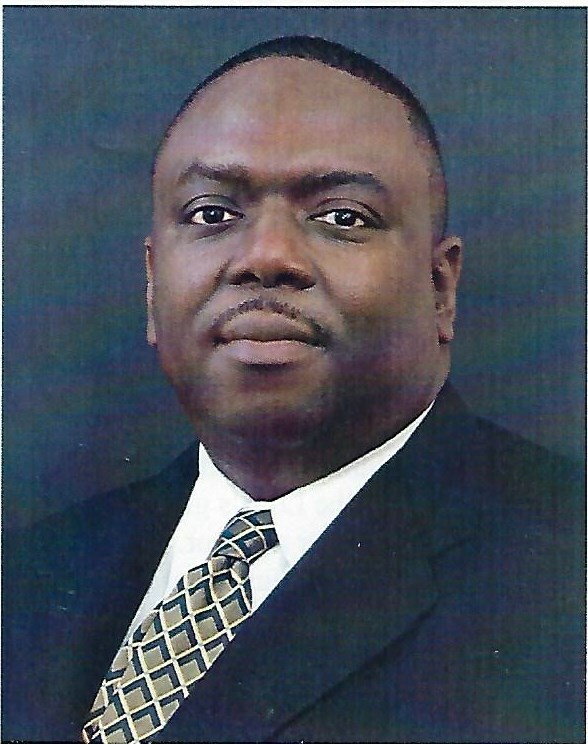 Kimble’s pastoral journey began in 2008 at the New Smyrna Baptist Church in Fort Valley, Ga. The church has undergone total renovation of its 1865 historic sanctuary. Rev. Kimble says that through his church administration efforts, and without the assistance of a financial institution, he led the congregation through a total renovation and the church is debt free. Rev. Kimble feels that the Lord was leading him on to serve in another church where his leadership can further the will of God.